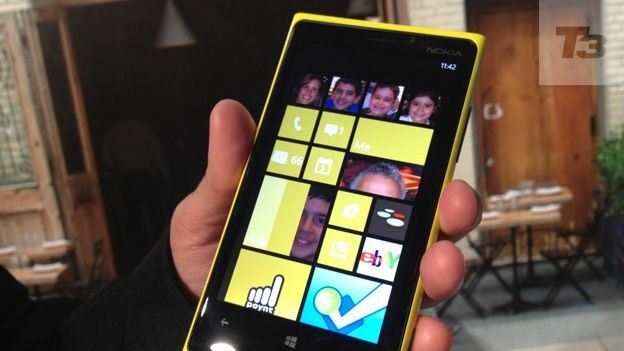 Nokia has revealed that its Lumia 820 and 920 smartphones will go on sale in key European markets in November, although the Finnish firm failed to unveil its plans for the lucrative US market. The phones, unveiled earlier this month in New York, run on Microsoft's Windows 8 operating system and sport a similar design seen on previous Lumia models. The announcement comes at a crucial time for the manufacturer, as several high-end entries, including the iPhone 5 and Motorola Razr i, have recently or are about to launch, making the market ultra competitive. Shockingly, Nokia has whacked on a hefty price tag on both models, making it, in some instances, more expensive than Samsung's Galaxy S3, which runs on Google's Android operating system, the platform favoured by most smartphone users. The 920 will be available in Italy for €599, while the lower-end 820 will cost €499 SIM-free. Meanwhile, German customers can snag the 920 for a whopping €649. According to analyst Ben Wood, the hefty pricing can potentially hinder the firm's attempts at reversing its fortunes: "Nokia will find it difficult to command a premium over Samsung's Galaxy S3 which is the pricing benchmark for a non-Apple flagship smartphone."